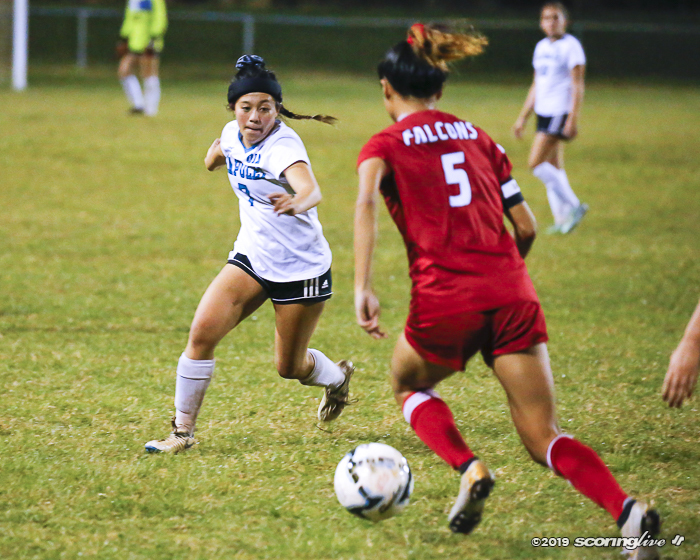 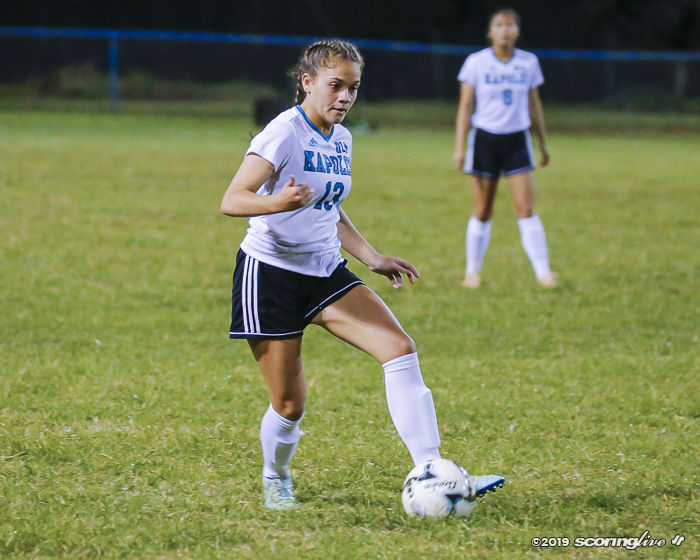 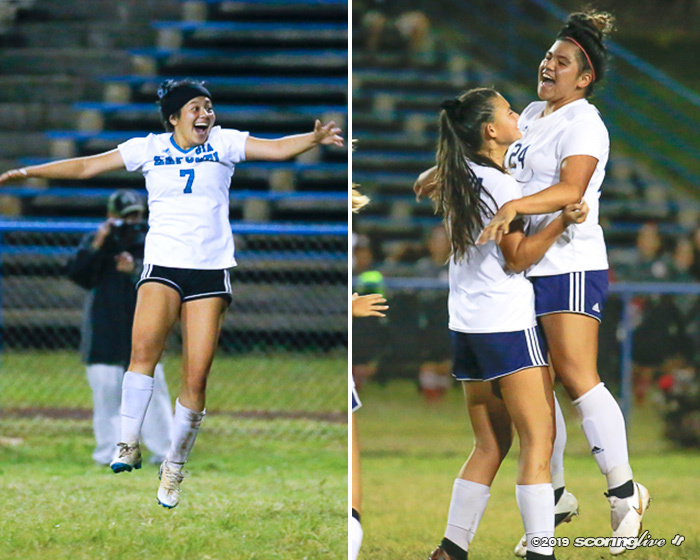 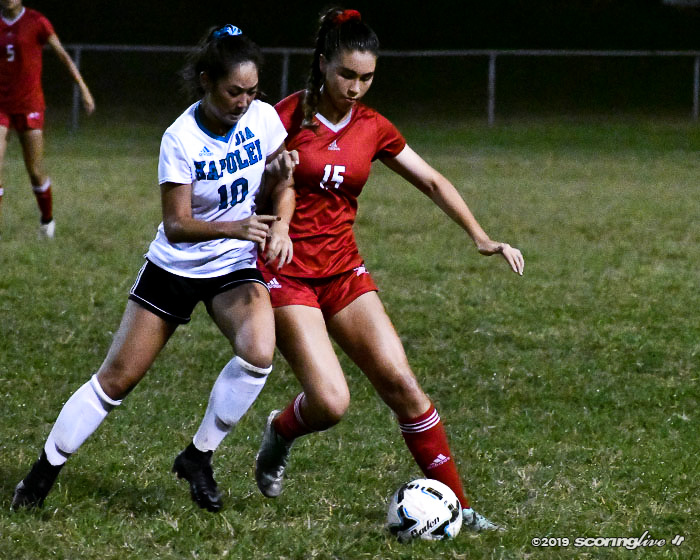 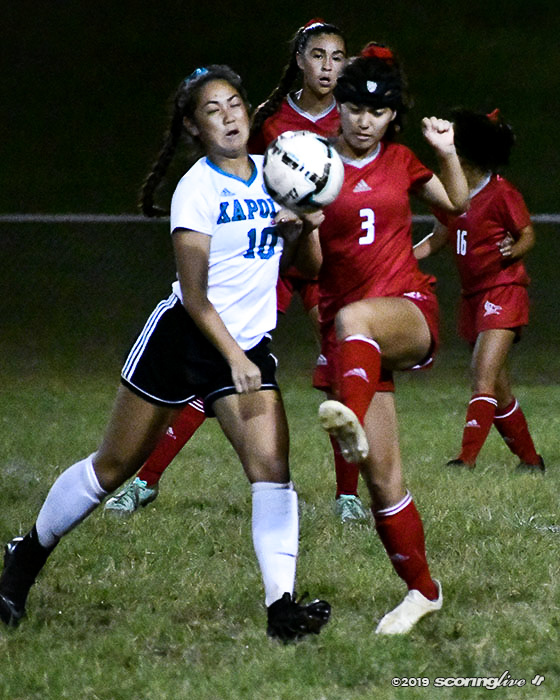 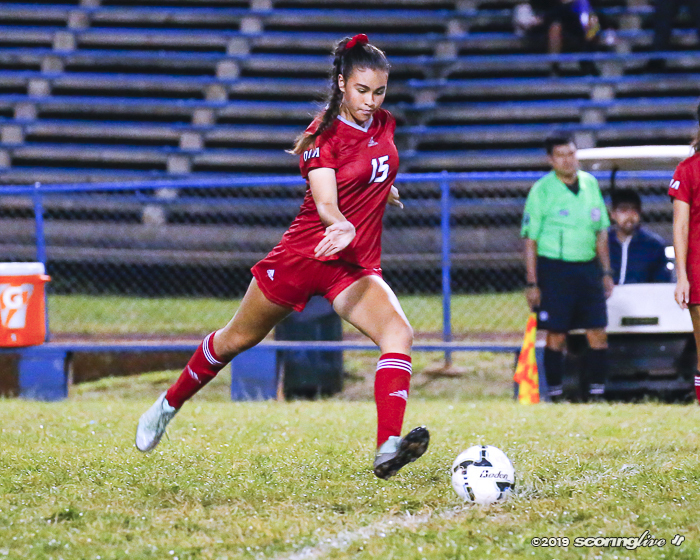 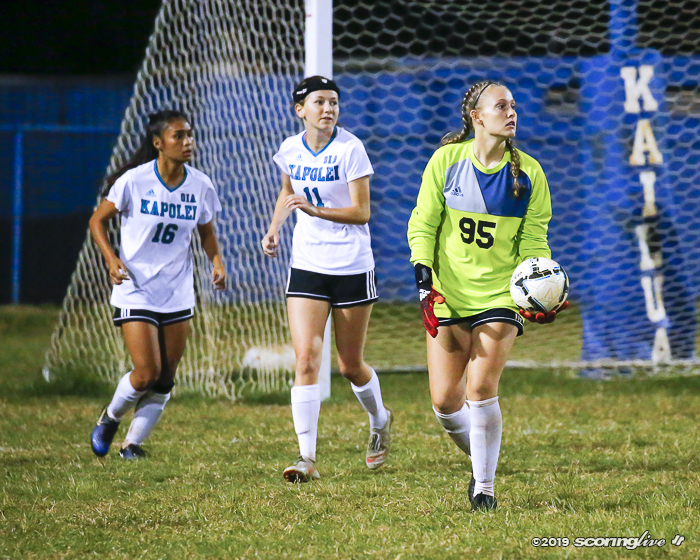 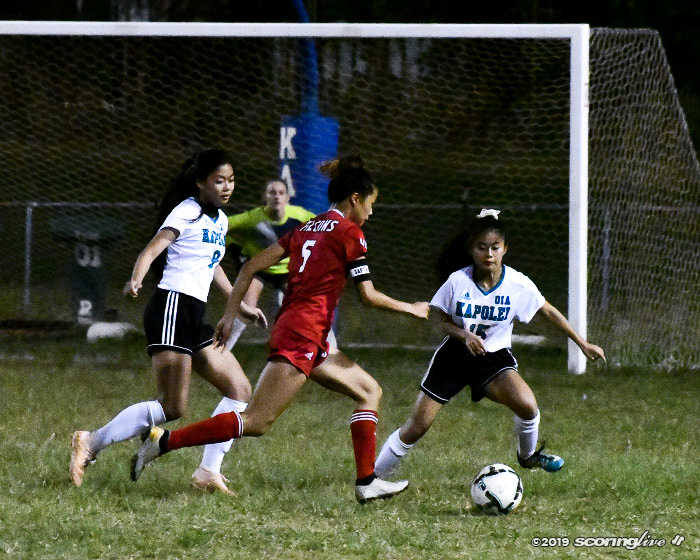 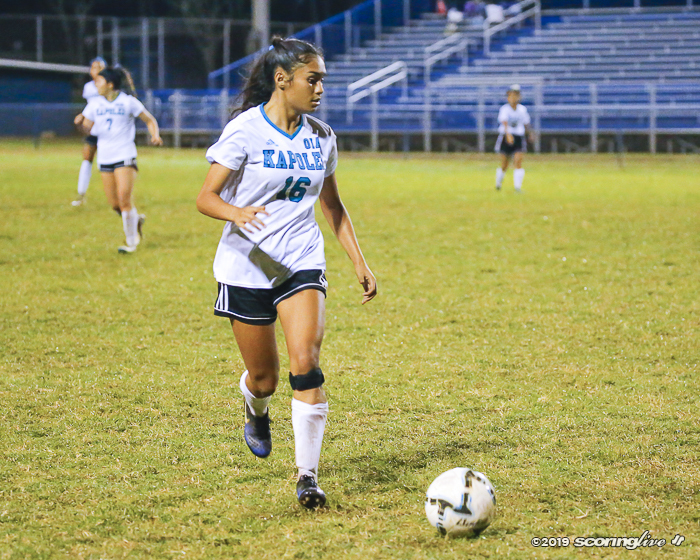 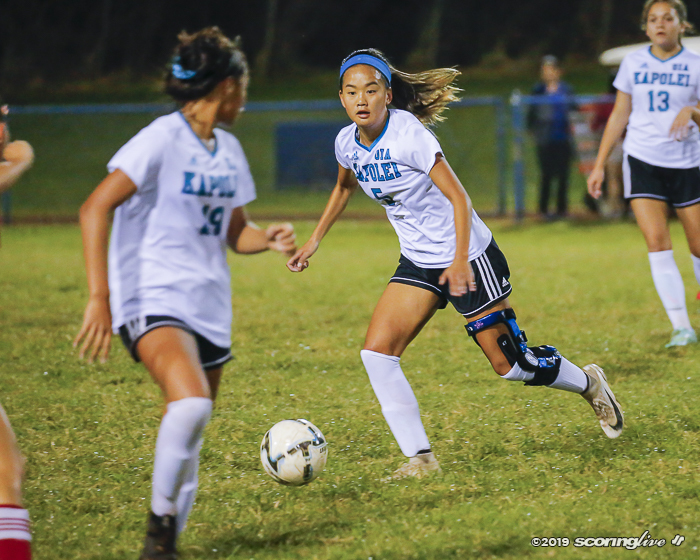 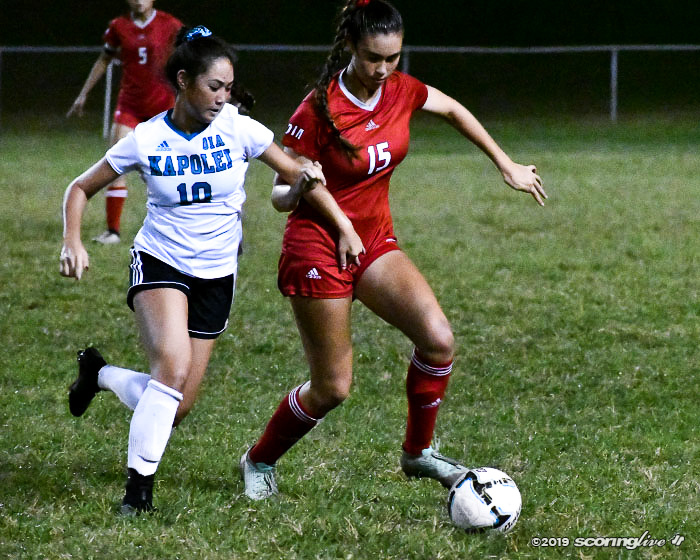 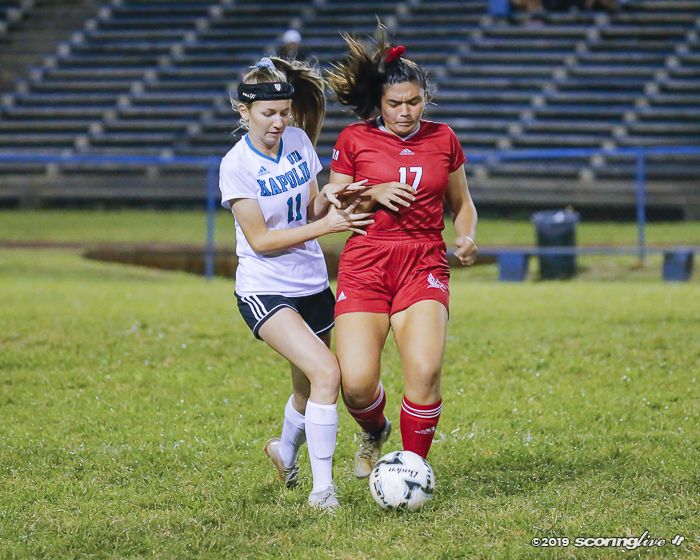 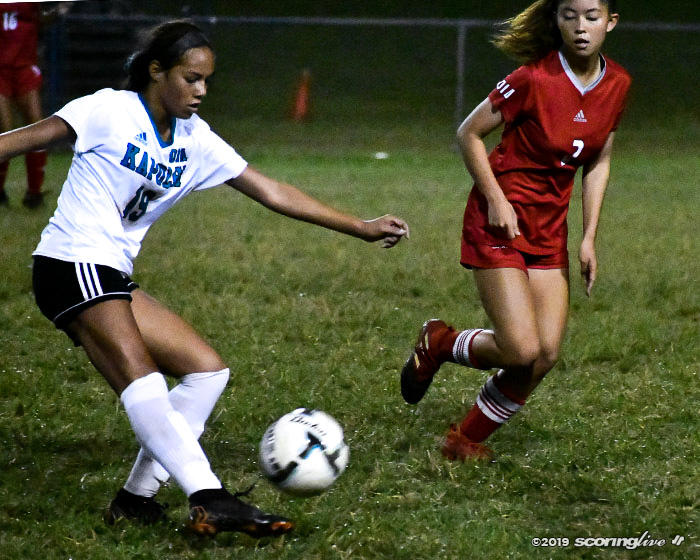 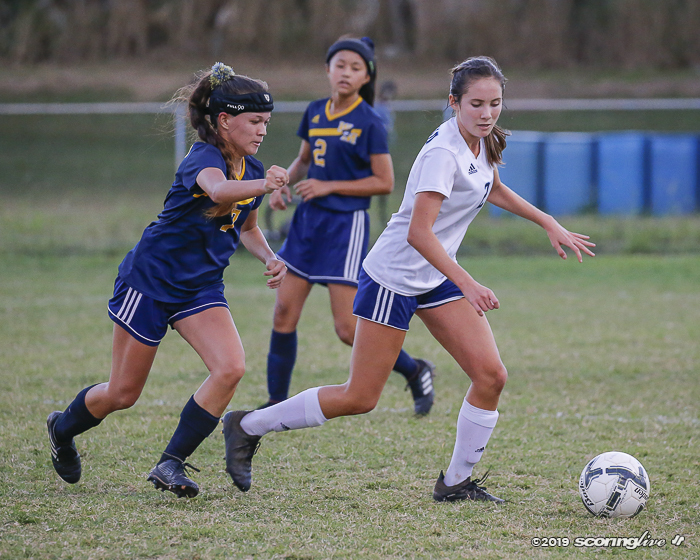 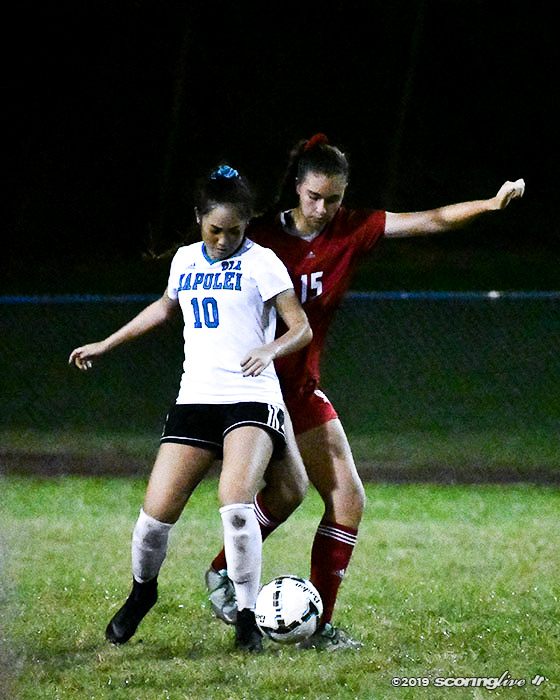 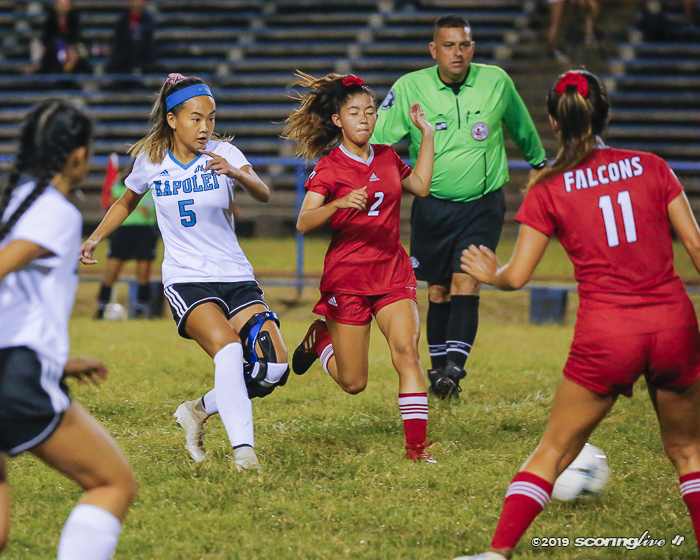 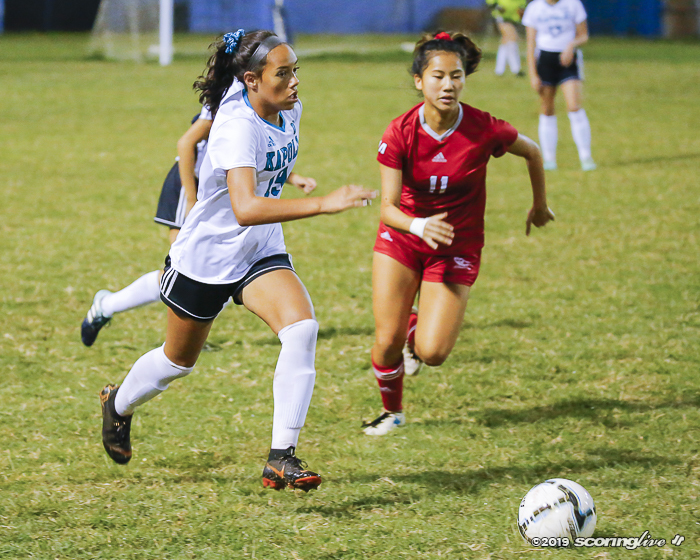 KAILUA — The girls soccer Oahu Interscholastic Association Playoffs are here and it started Monday evening with a pair of upsets in the first round at Kailua High School. 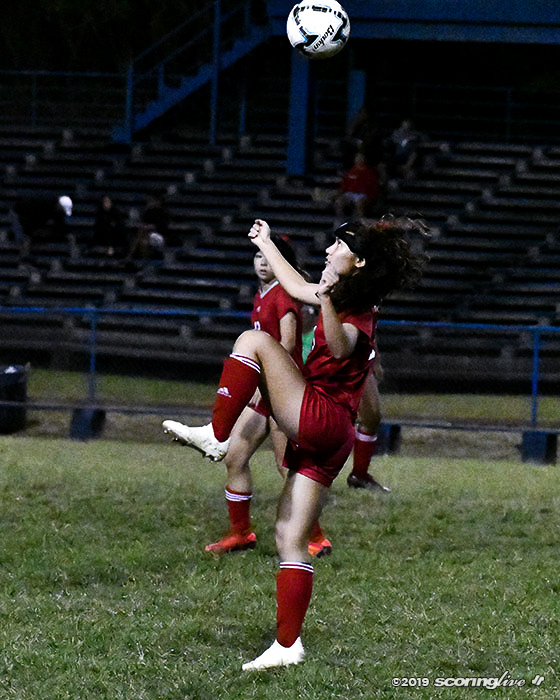 West No. 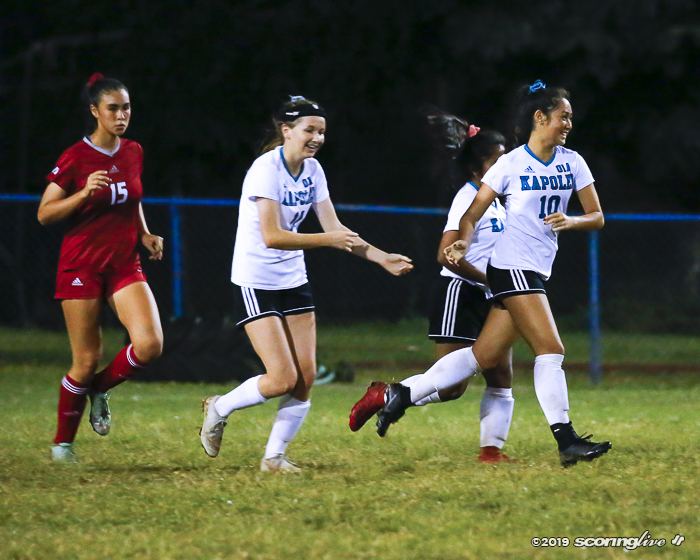 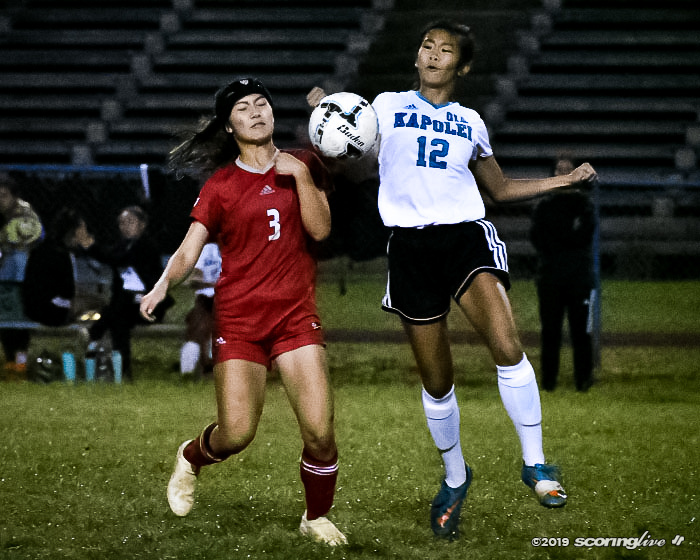 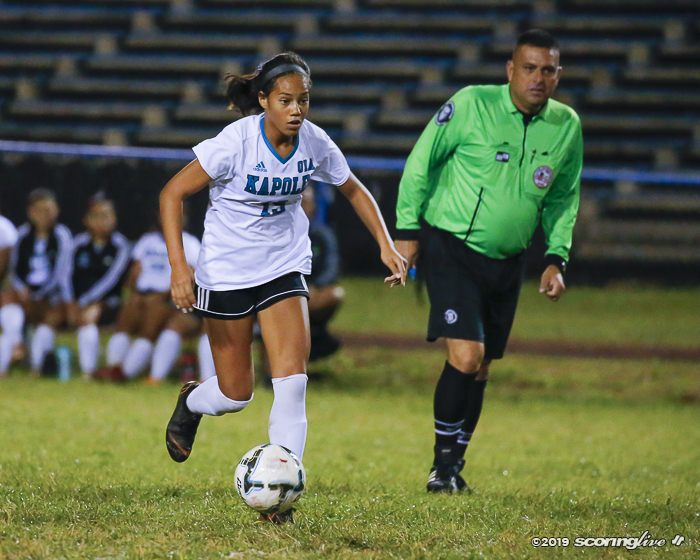 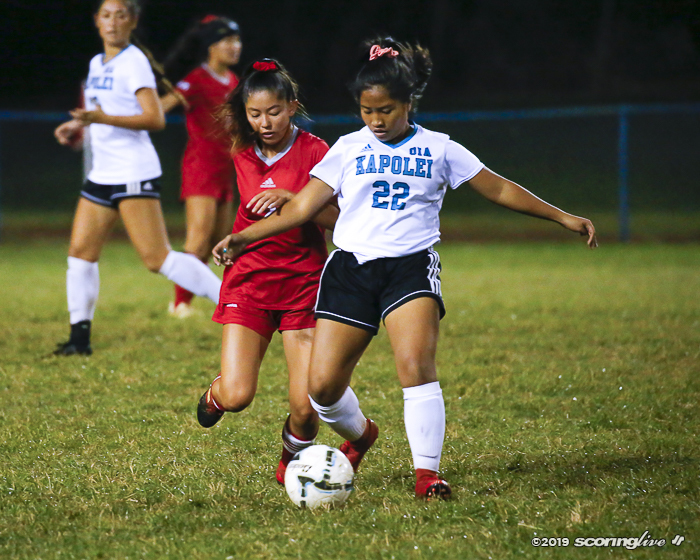 6 seeded Kapolei blanked East third-seeded Kalani, 3-0, while host Kailua got the golden goal in overtime to take down Waipahu, 3-2. 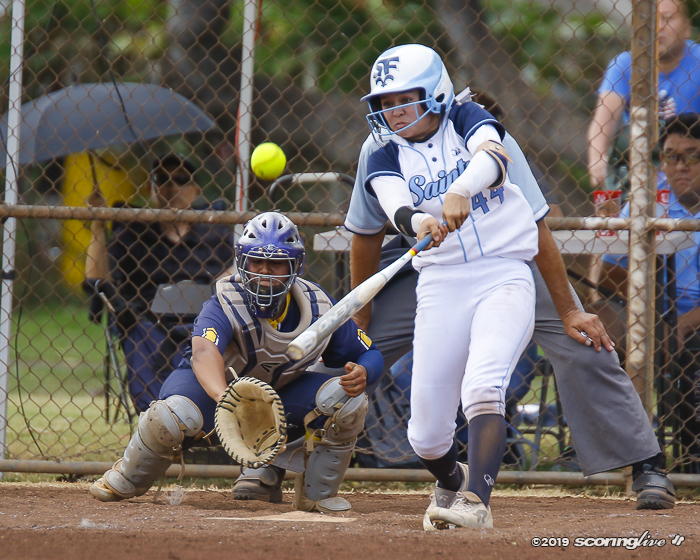 The Surfriders were the fifth seed out of the East while the Marauders were the West's No. 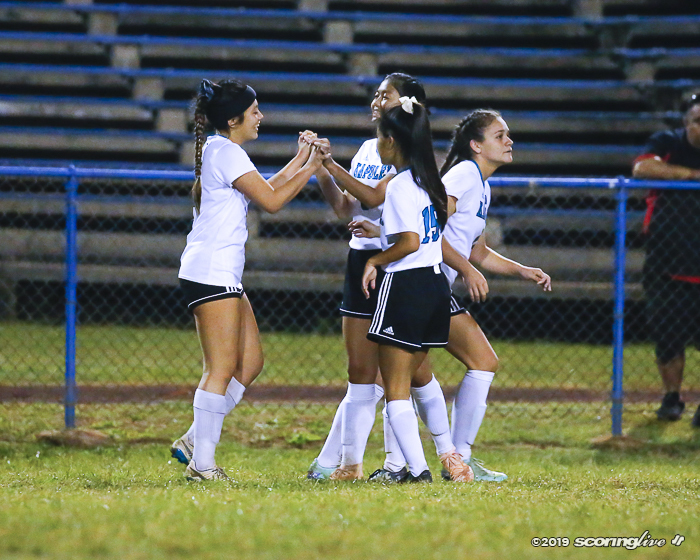 4 seed. 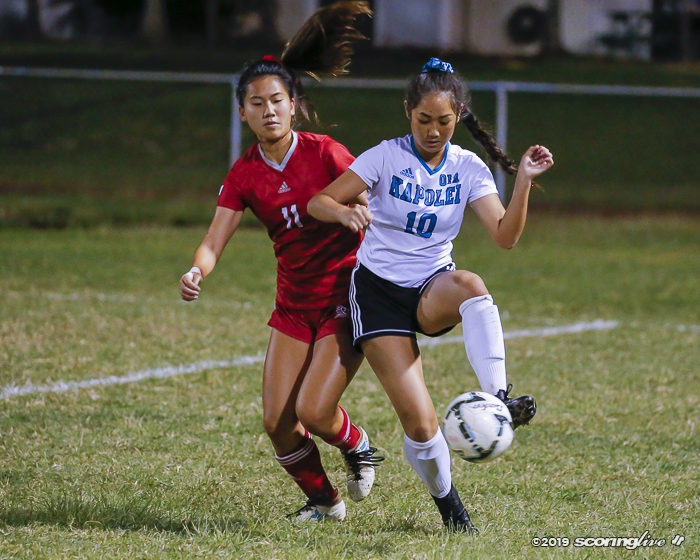 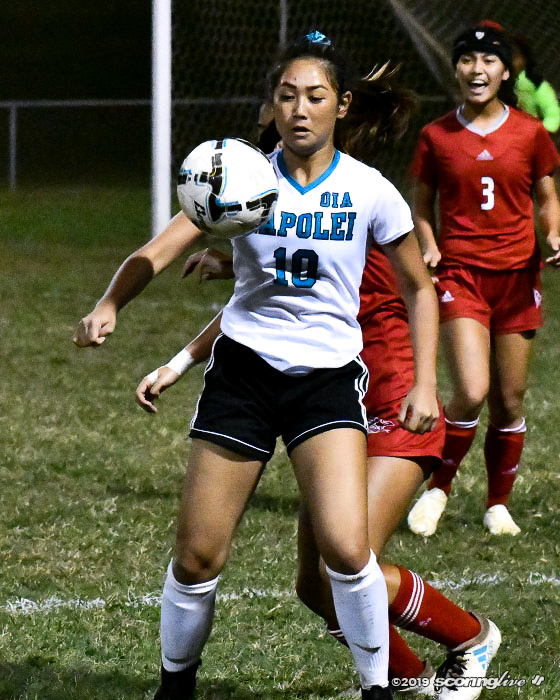 Both teams advanced to the quarterfinal round where Kapolei will play Pearl City (8-1-1) and Kailua takes on Moanalua (8-0-1) Tuesday evening at Moanalua High School. 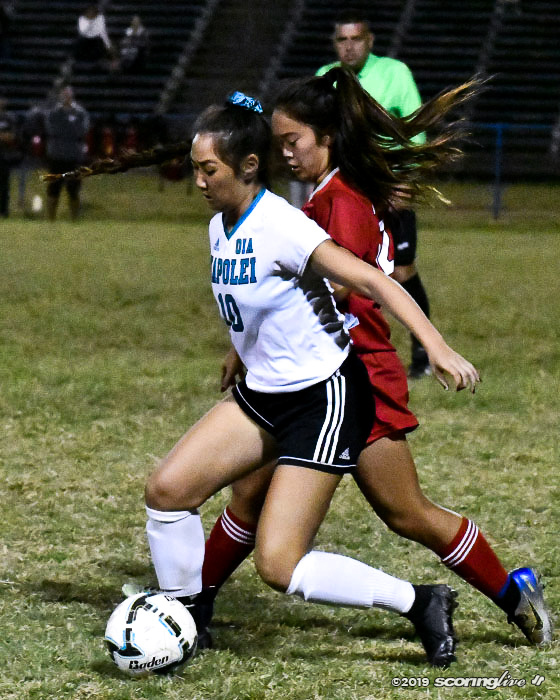 On the other side of the bracket, Aiea (9-2) and Campbell (7-3-1) advanced with the Sabers taking on Mililani (8-0-2) and Na Ali'i matching up against Kaiser (8-1-0) in the quarterfinals. 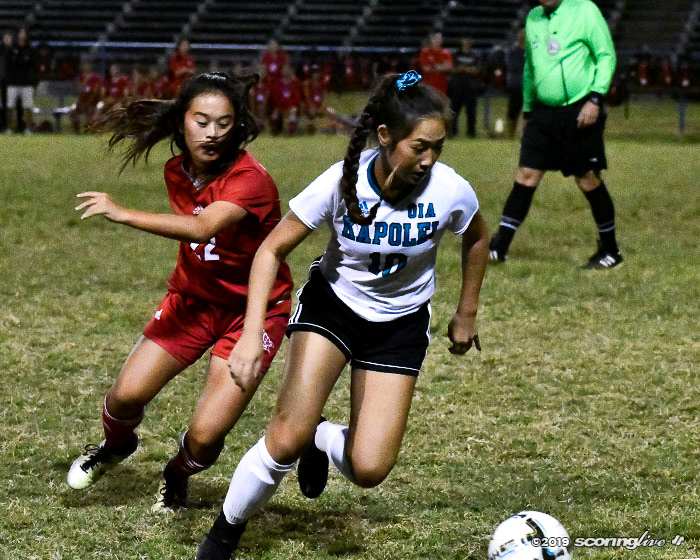 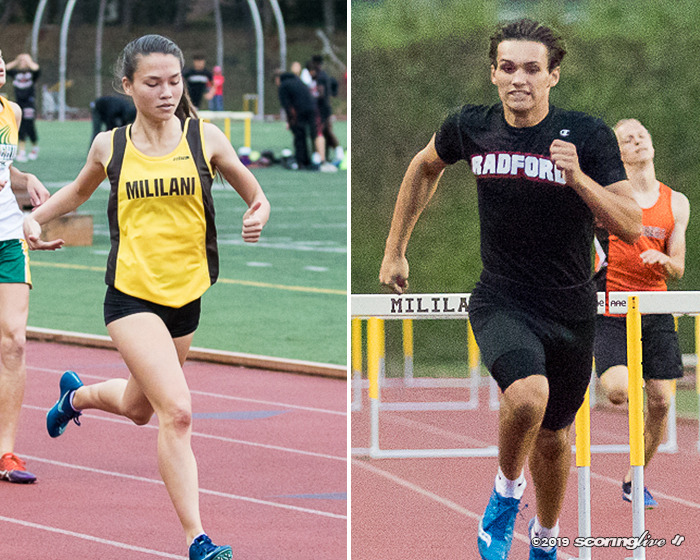 The OIA Championship is set for Saturday, Jan. 19 at Kaiser High School. 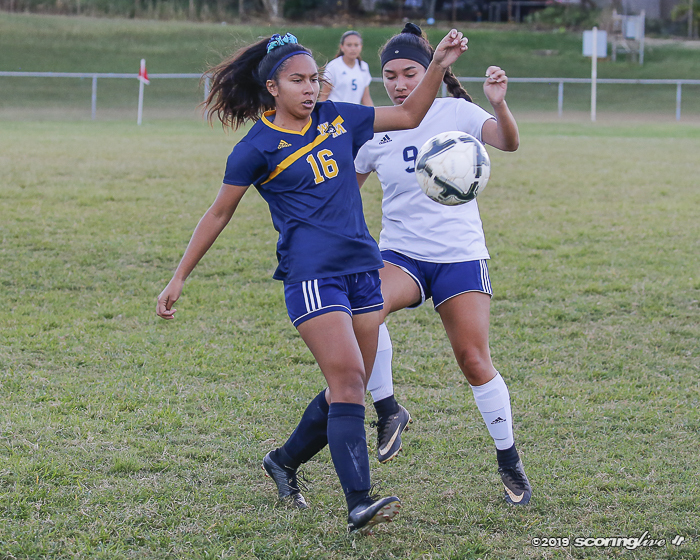 Kickoff is slated for 6:30 p.m. following the Division II title game starting at 5 p.m.
Mililani has won the last three OIA titles. 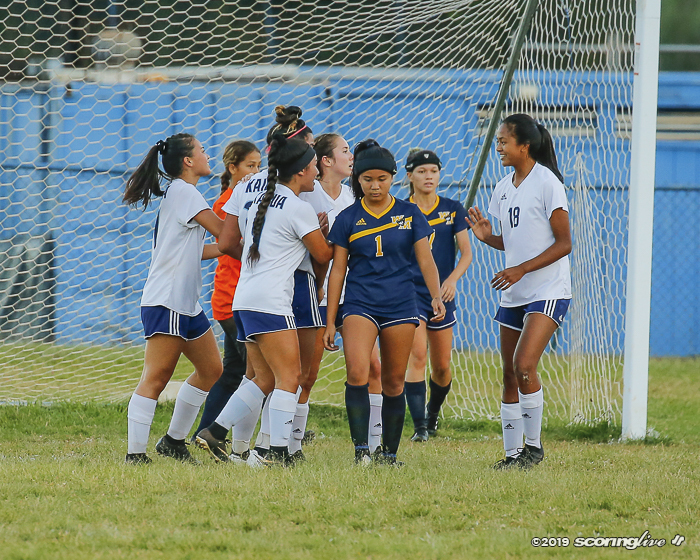 Heather Kolona got the scoring started for the Hurricanes with a free kick score right outside the penalty box in the 29th minute. 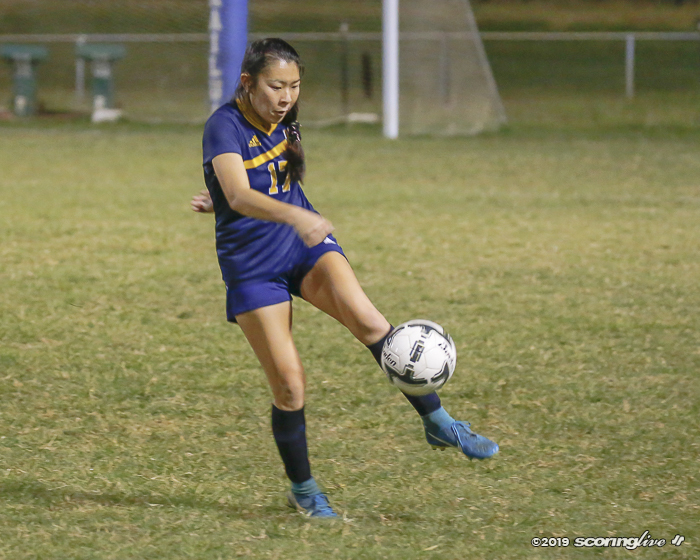 Bryana Yoshida got in on the action and broke free for a goal in the 52nd minute for her team-leading 14th score. 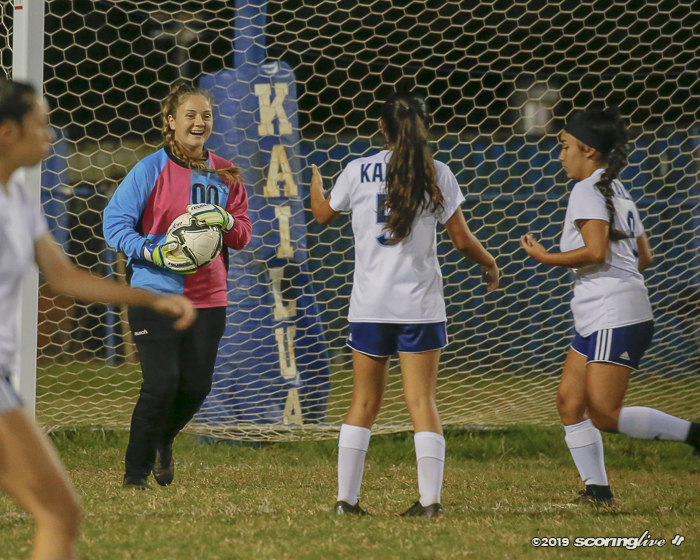 Kolona closed the game out with another shot over the goalkeeper's head in the 62nd minute. 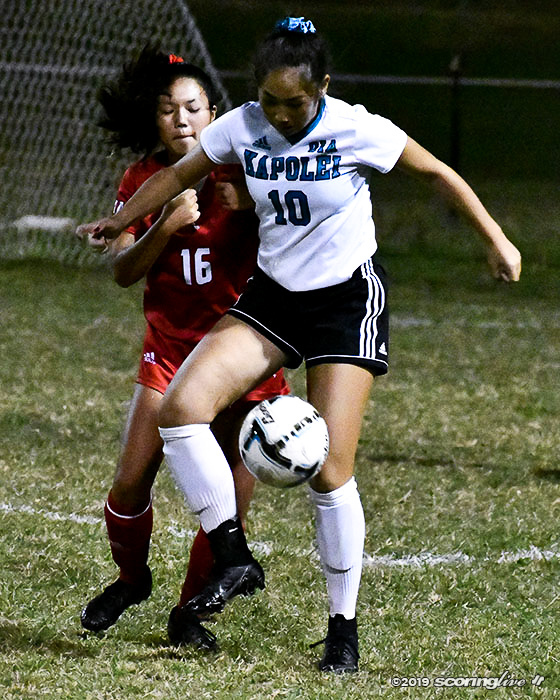 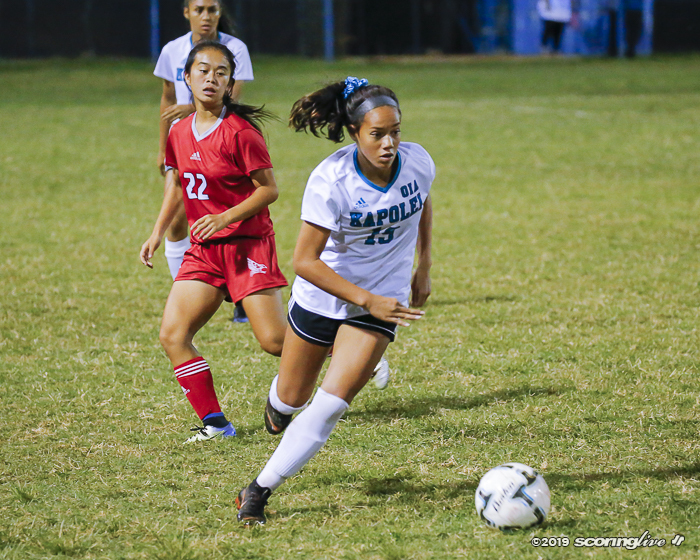 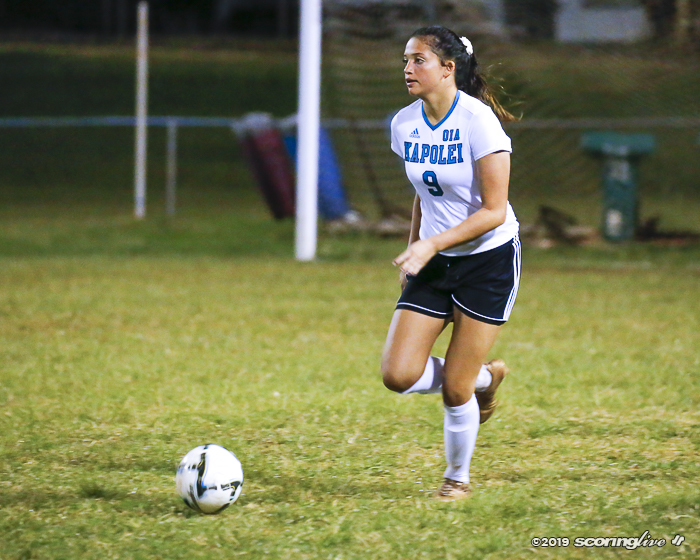 Kapolei improved to 6-5-0 and will take on West No. 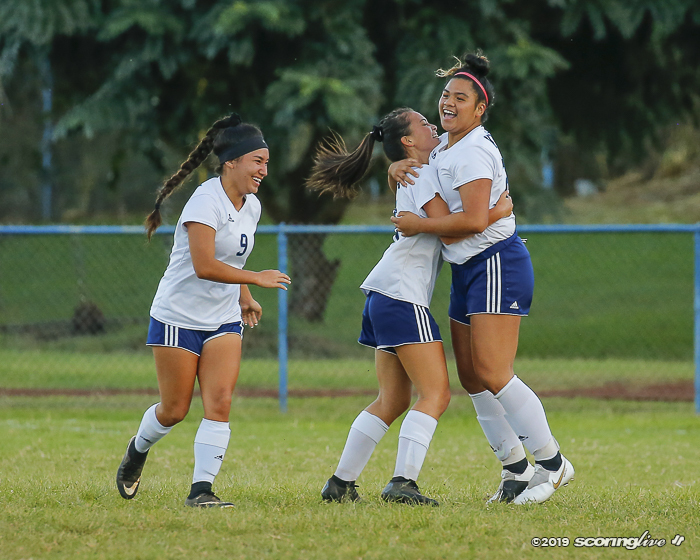 2 seed Pearl City. 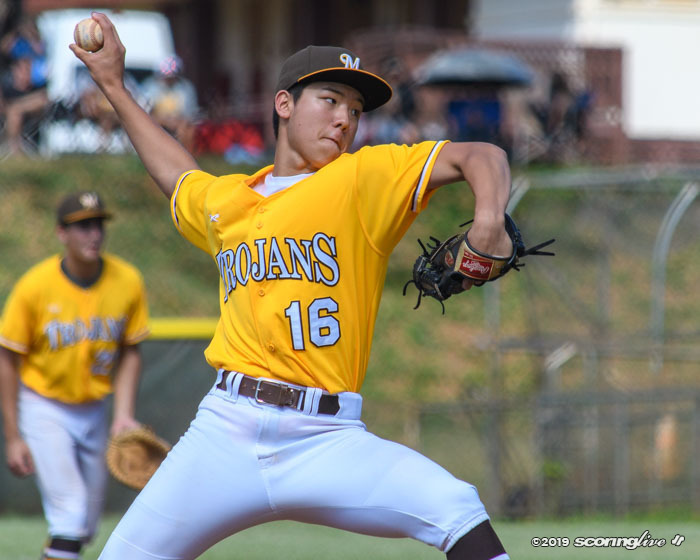 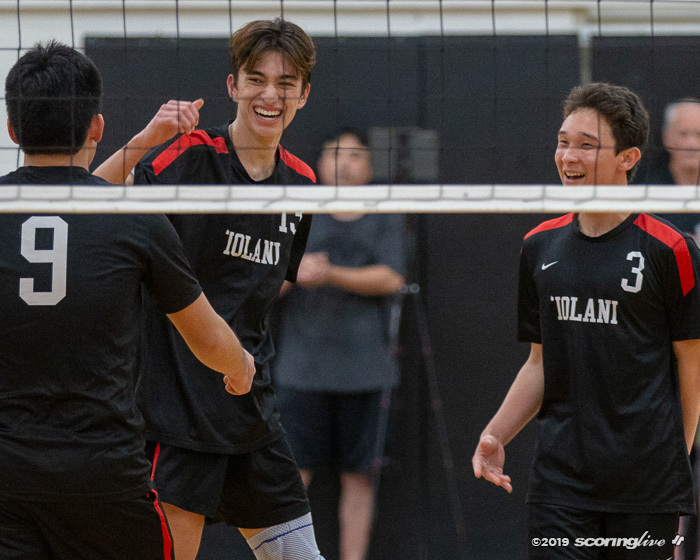 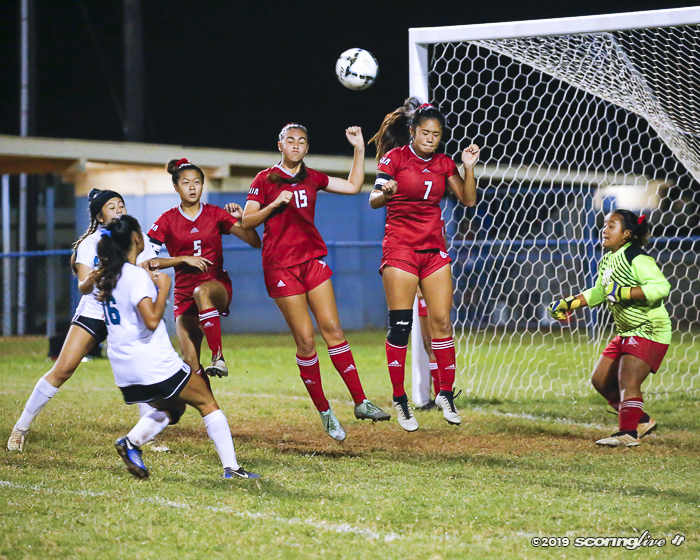 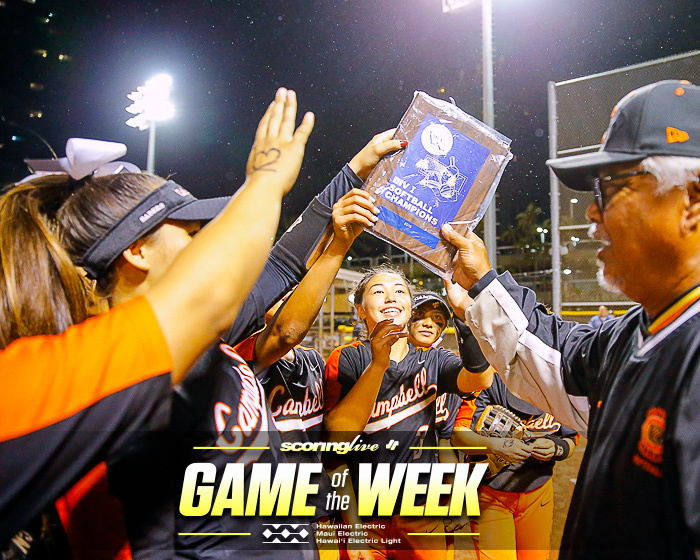 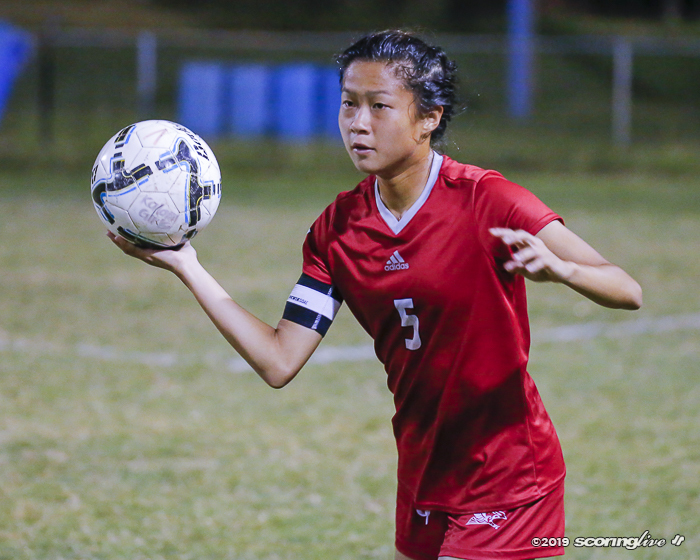 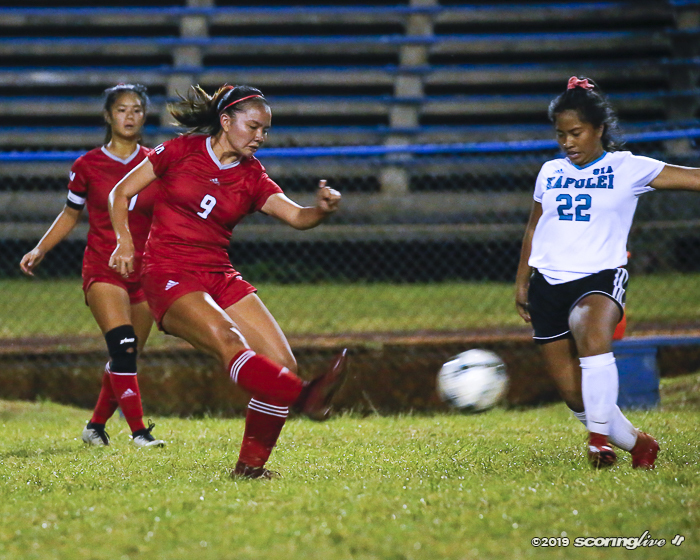 Kalani ends its season at 5-3-2 after starting with five-straight wins. 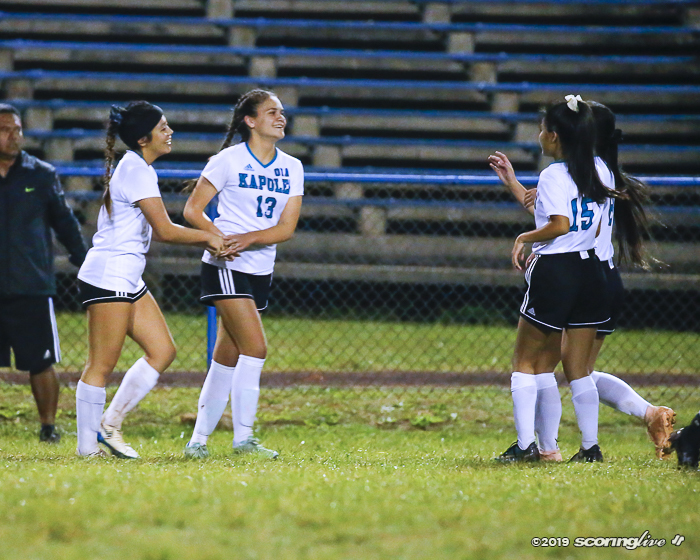 The Falcons were coming off back-to-back ties. 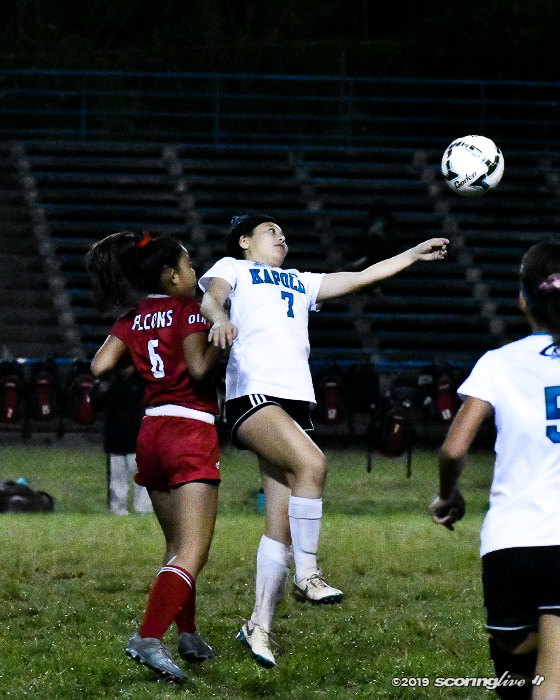 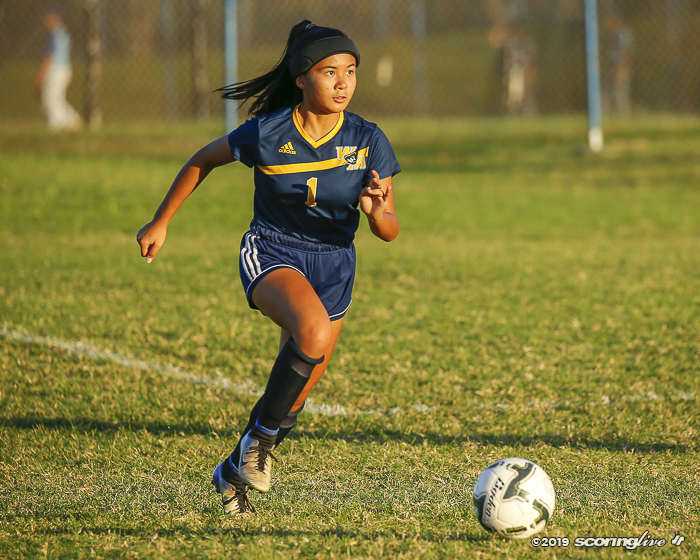 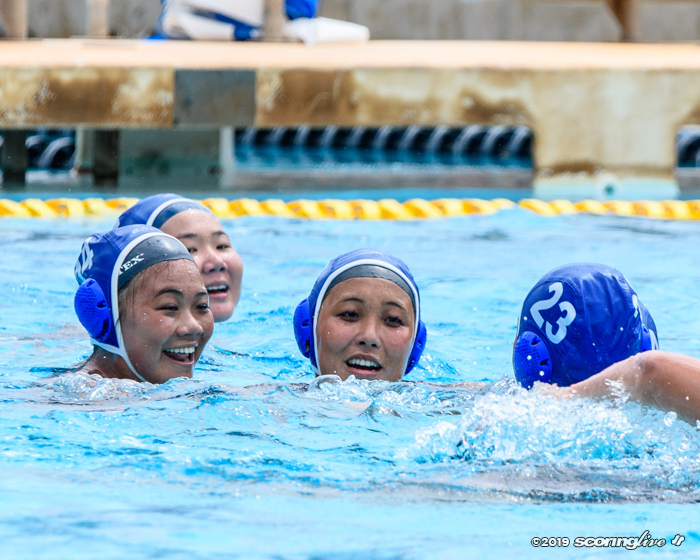 Kailua freshman Khyrstin Kohatsu doubled her season score total after netting a pair of goals, the second of which was the golden goal in overtime to snap Waipahu's six-game win streak and end its season at 7-2-2. 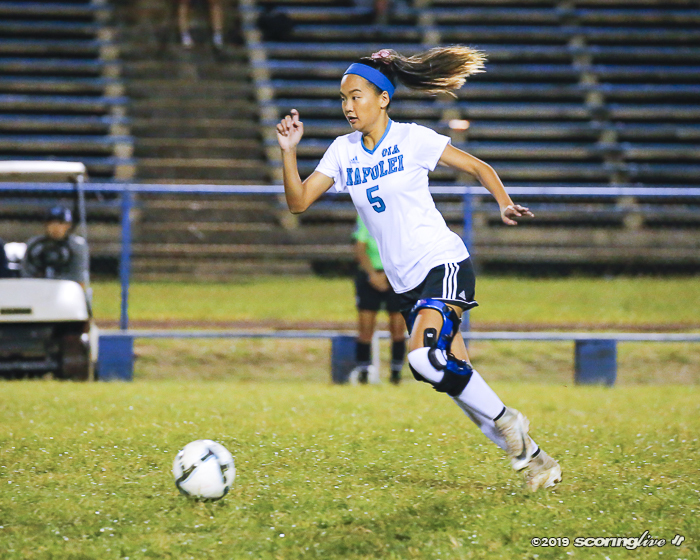 Kohatsu also netted the opening score of the game at the 17th-minute mark. 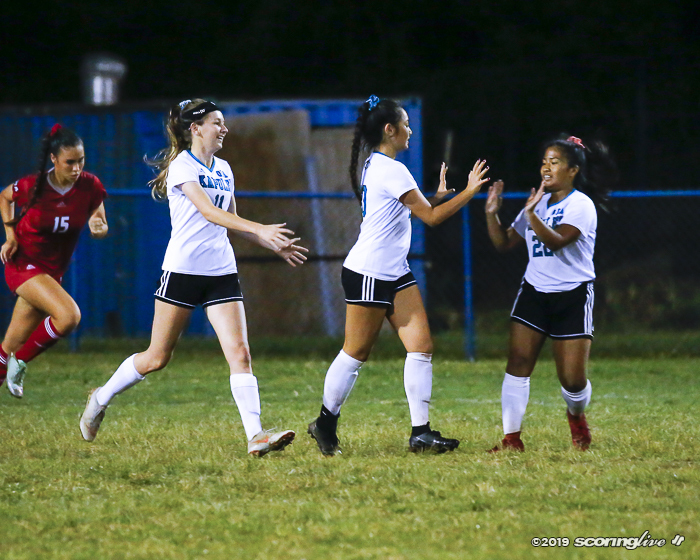 Kylee Smith followed three minutes later with her first goal of the season to put the Surfriders up 2-0. 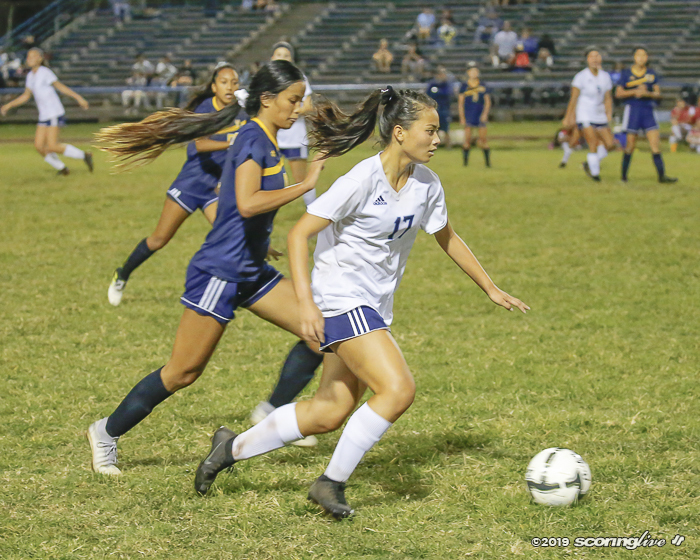 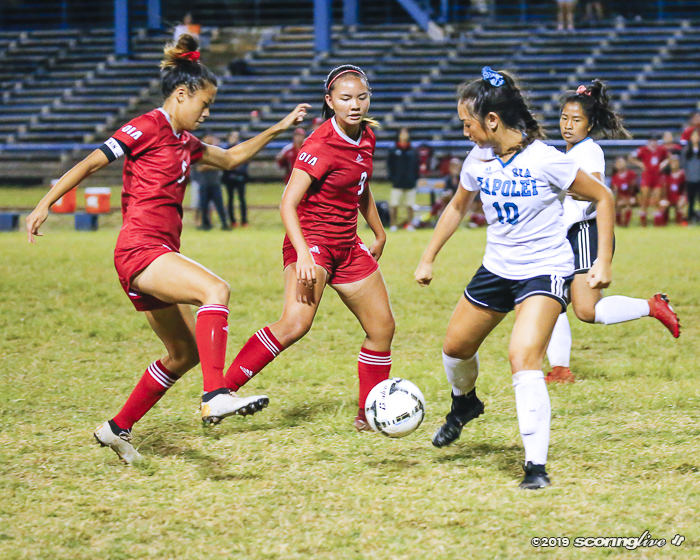 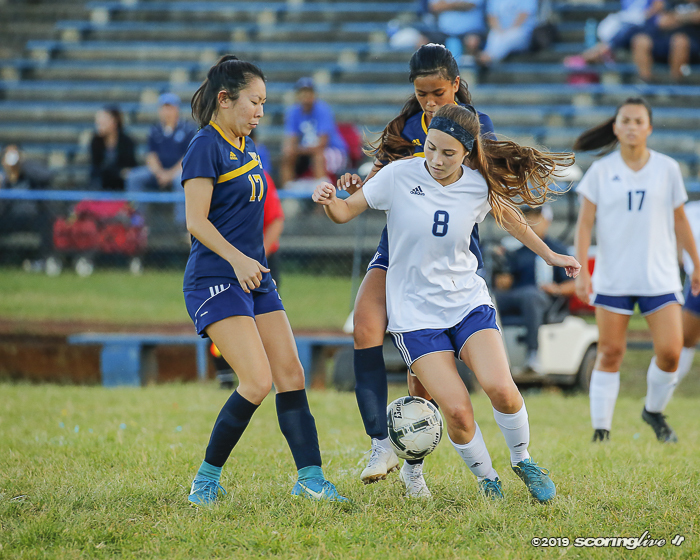 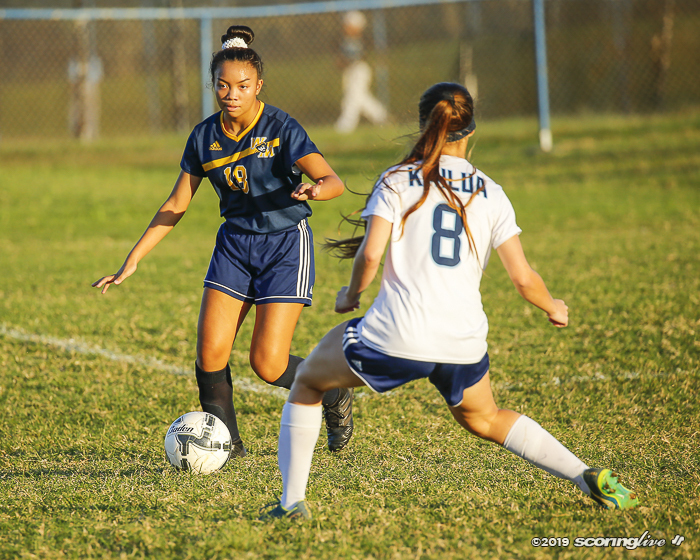 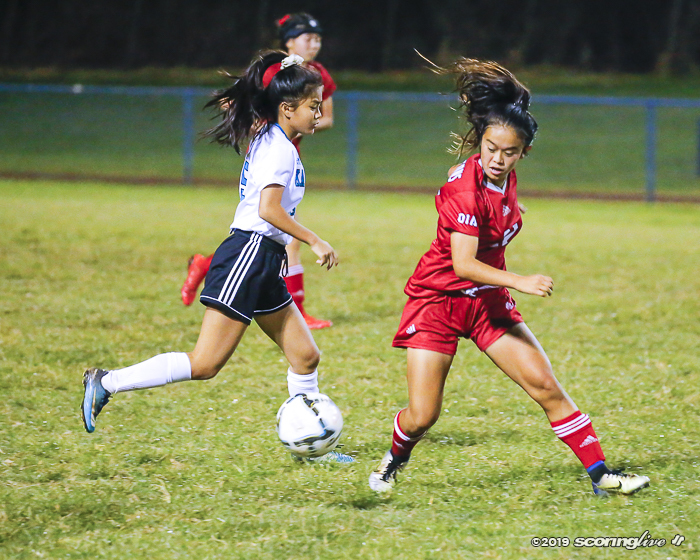 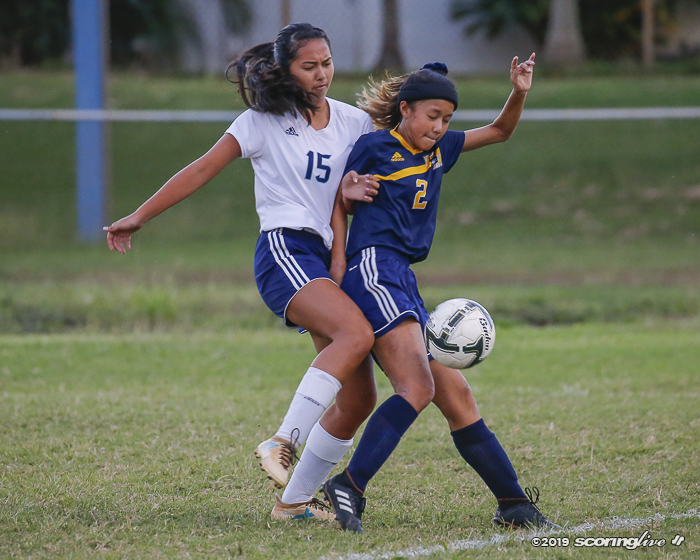 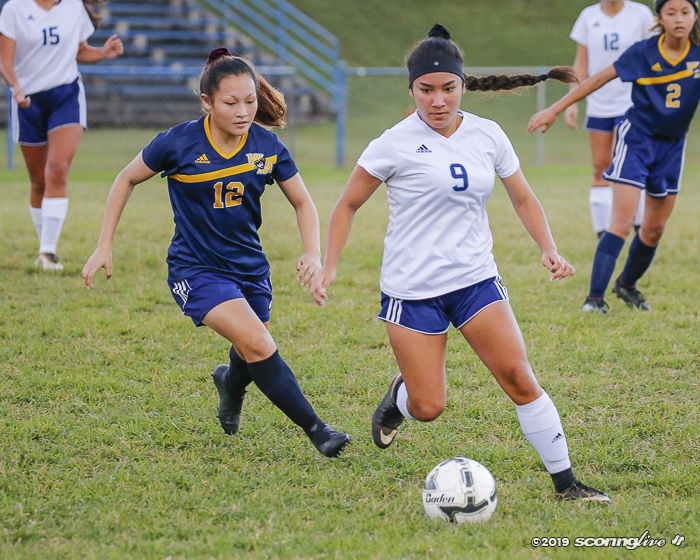 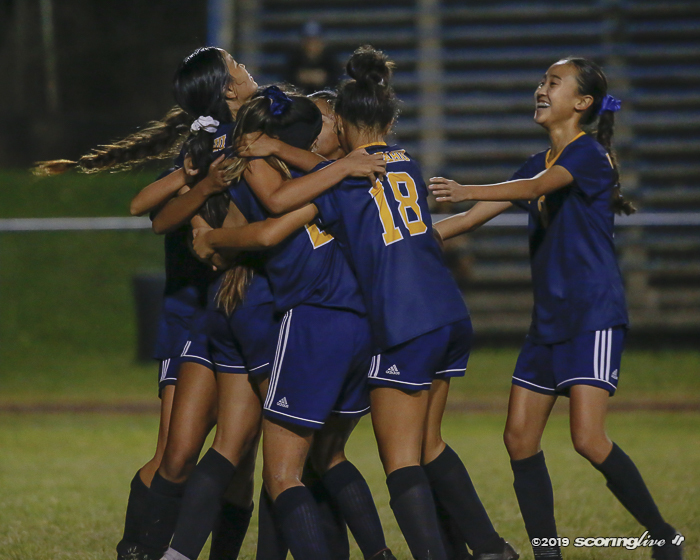 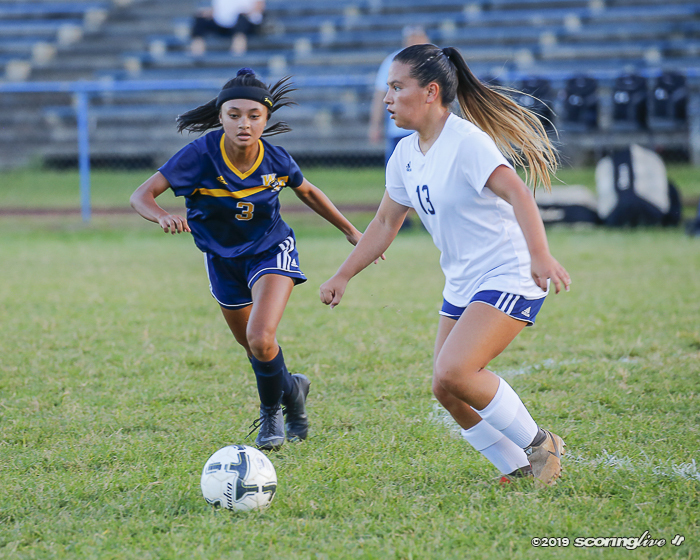 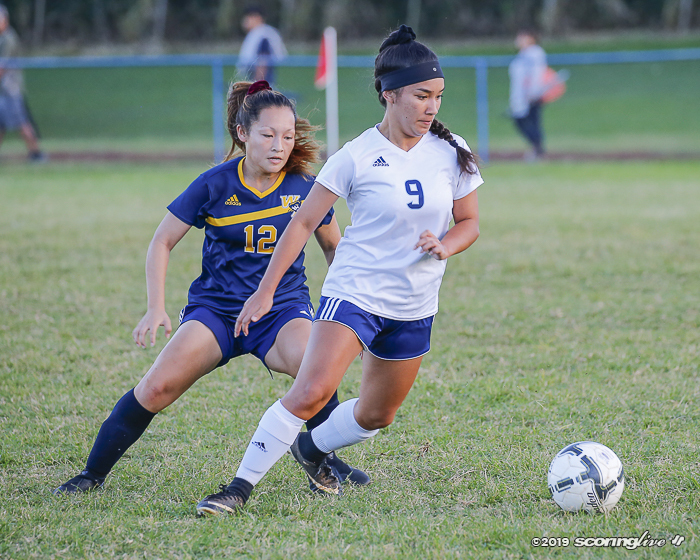 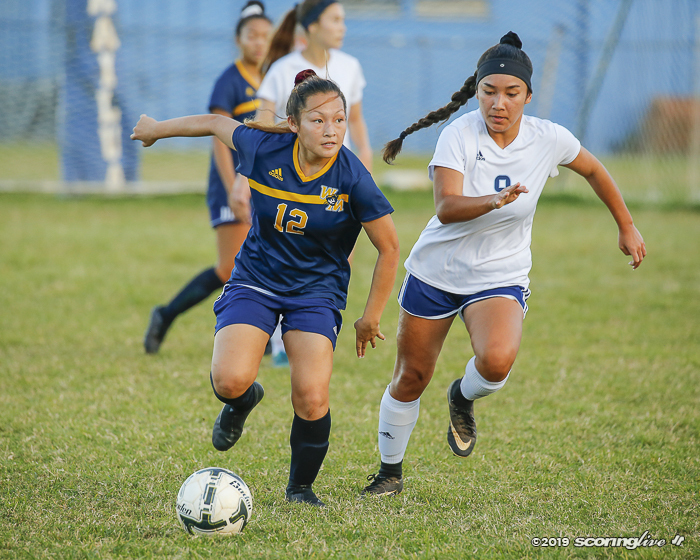 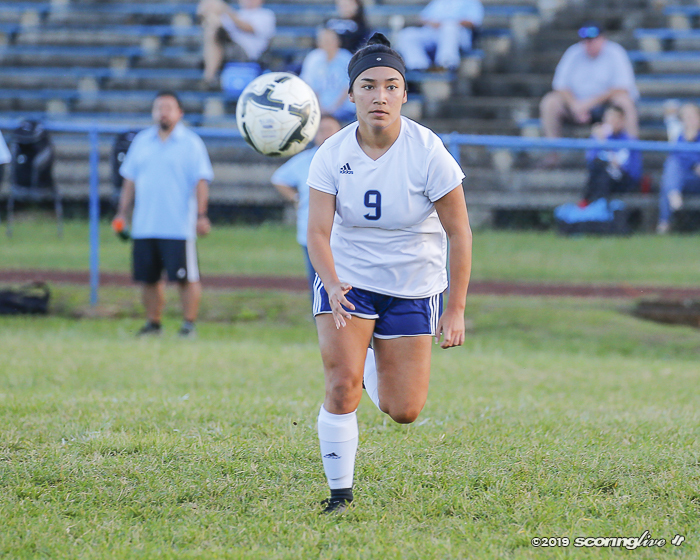 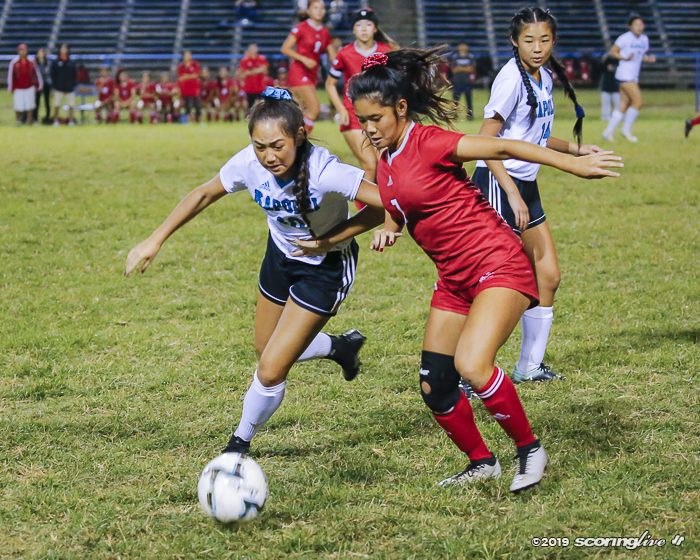 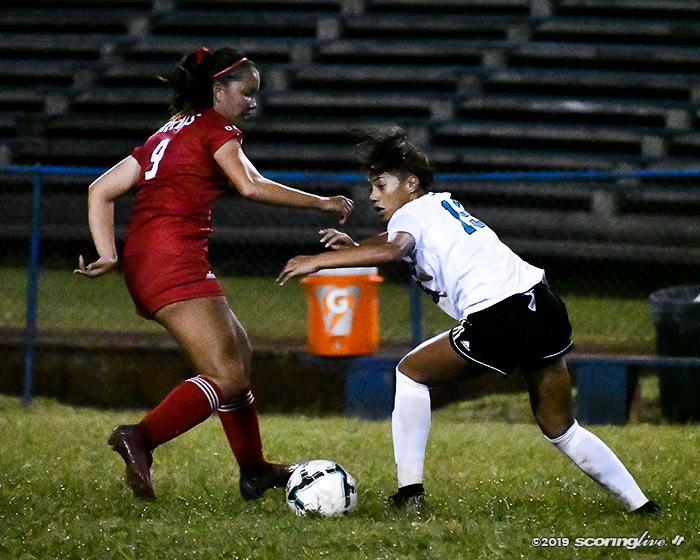 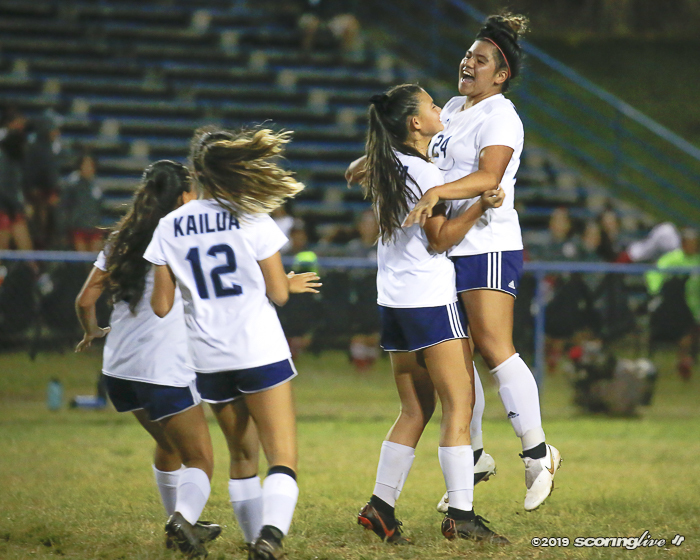 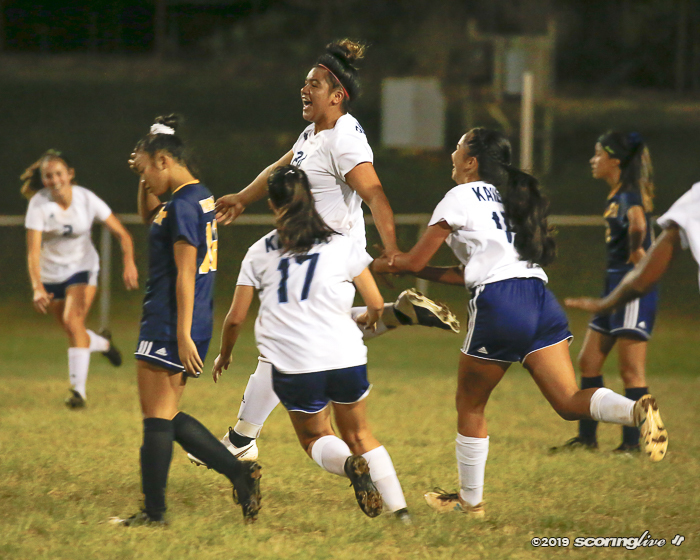 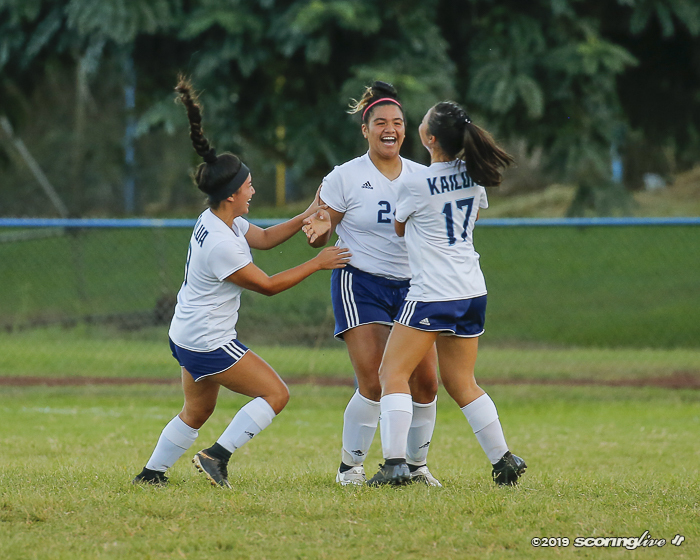 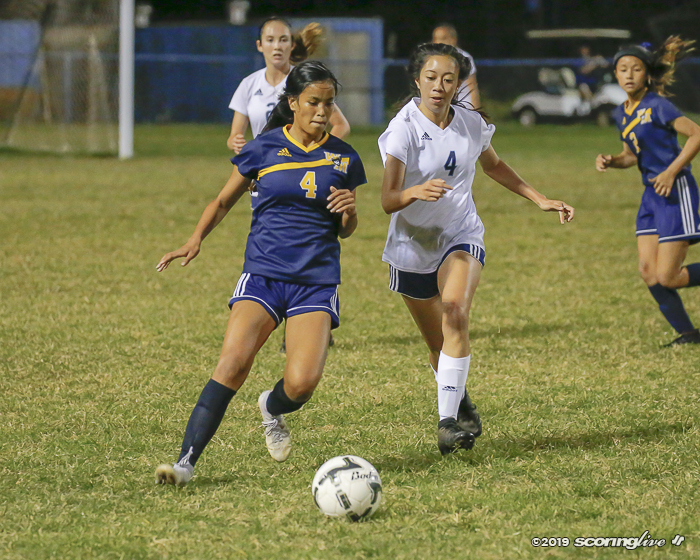 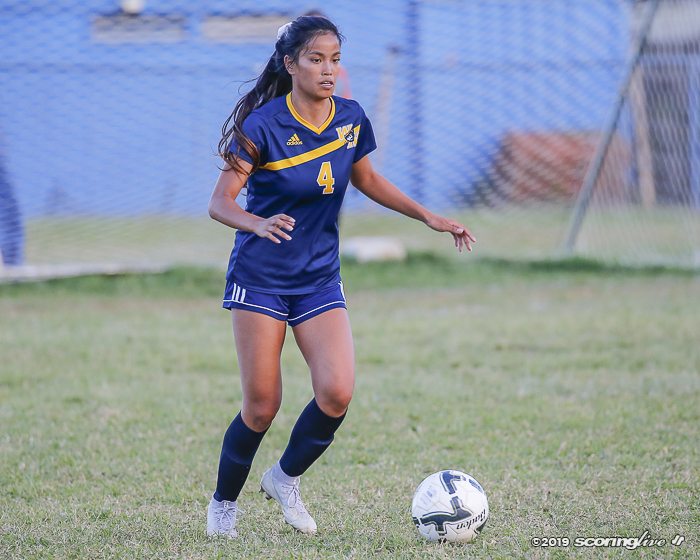 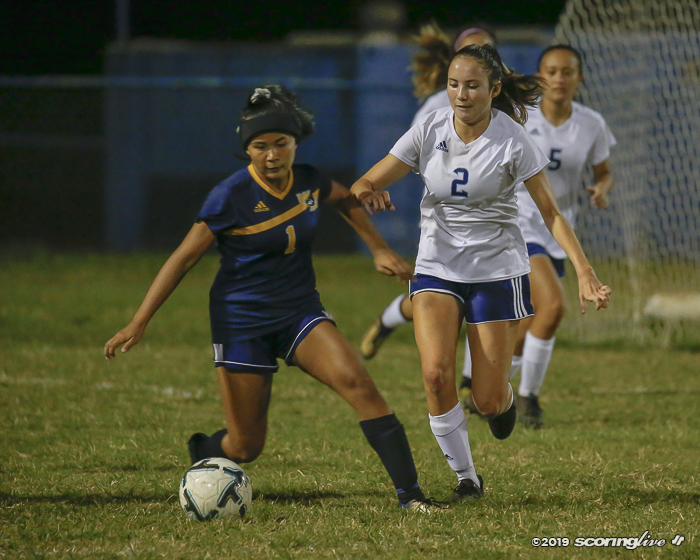 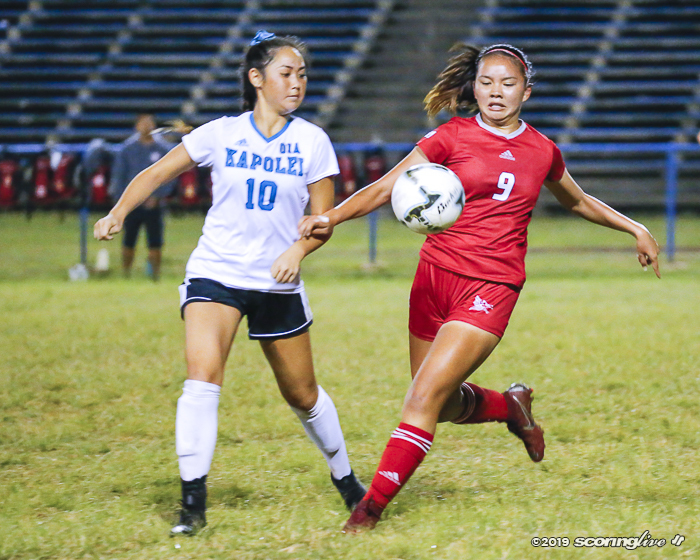 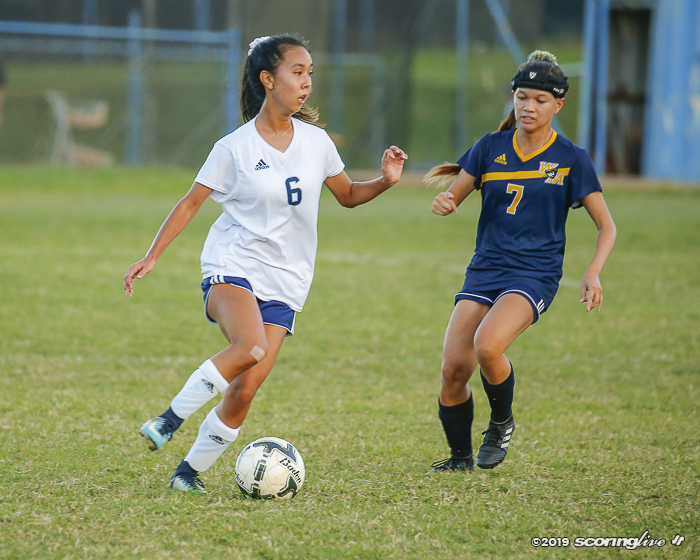 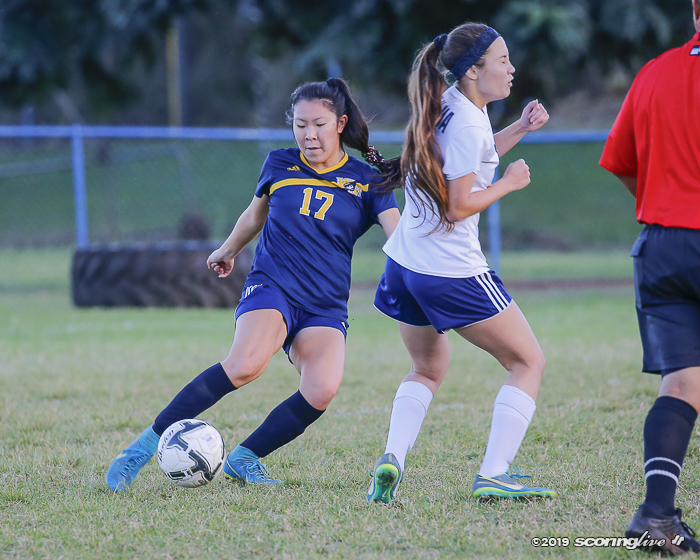 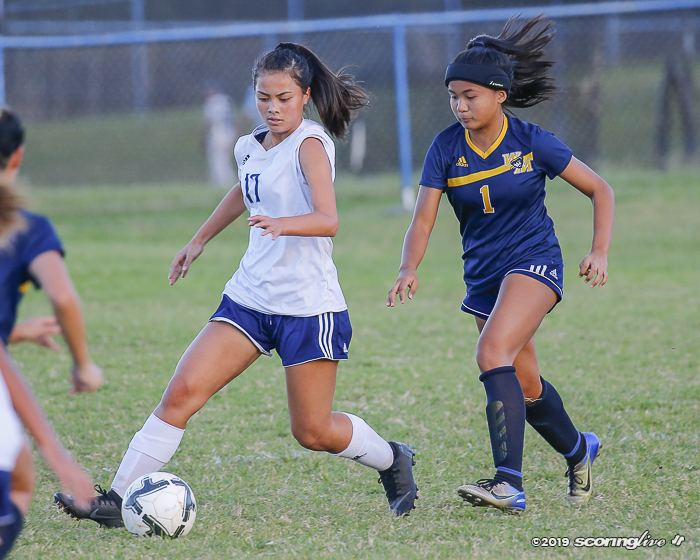 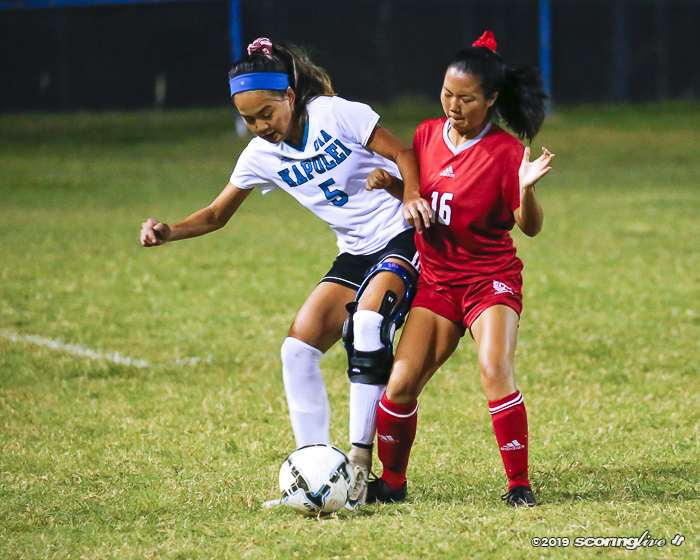 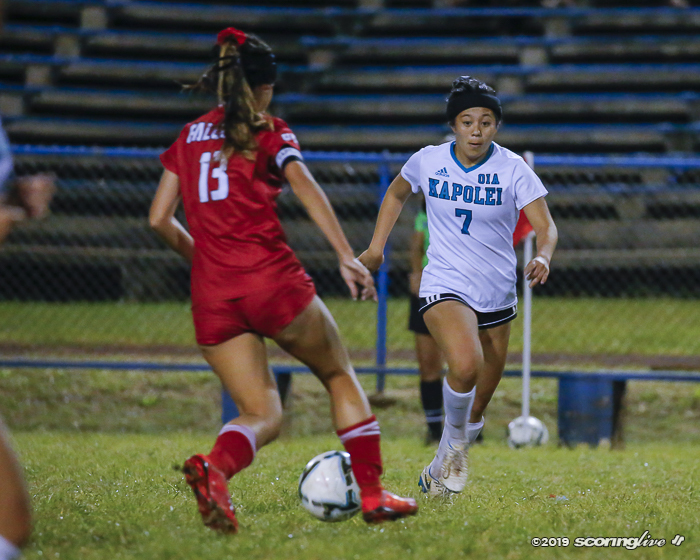 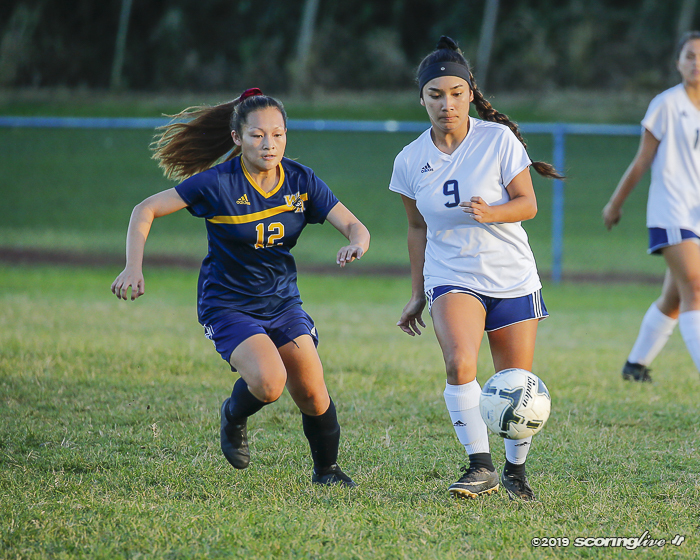 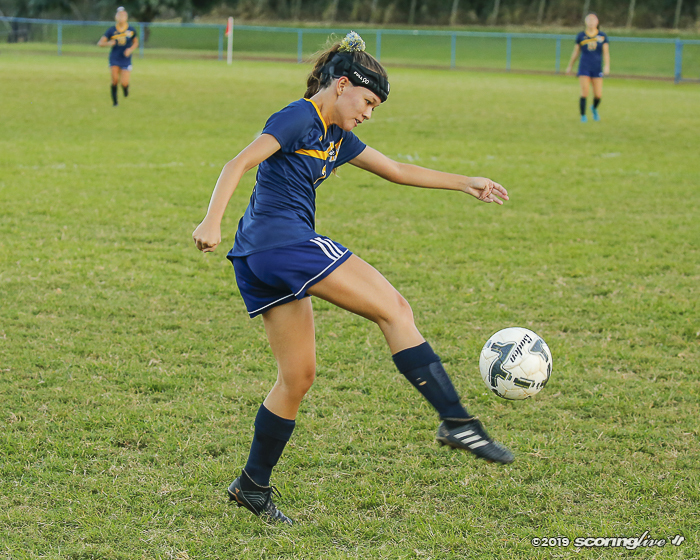 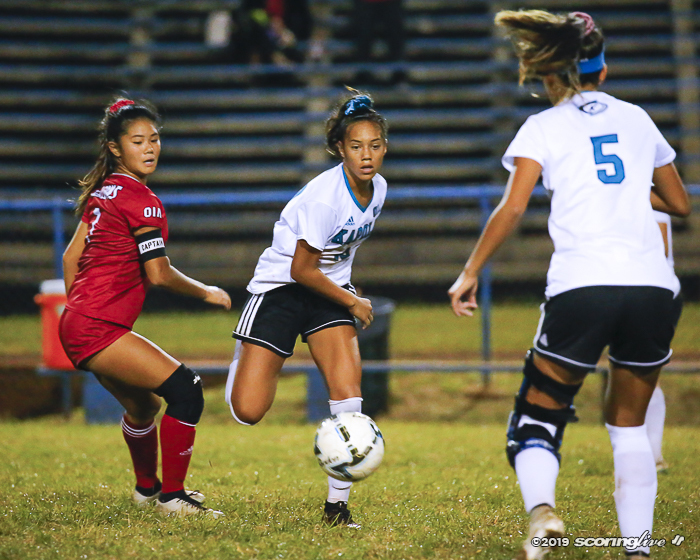 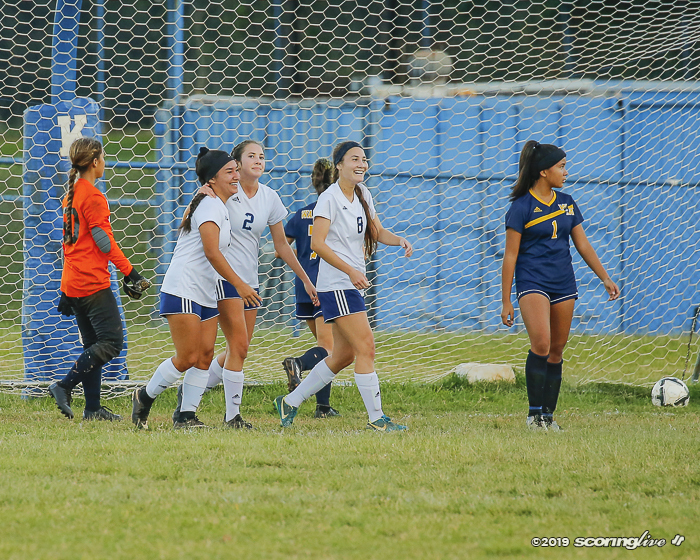 Kailua's lead would stay that way until the 70th minute when Waipahu senior Kadi Nakamura scored her first goal of the season on a launch from near midfield. 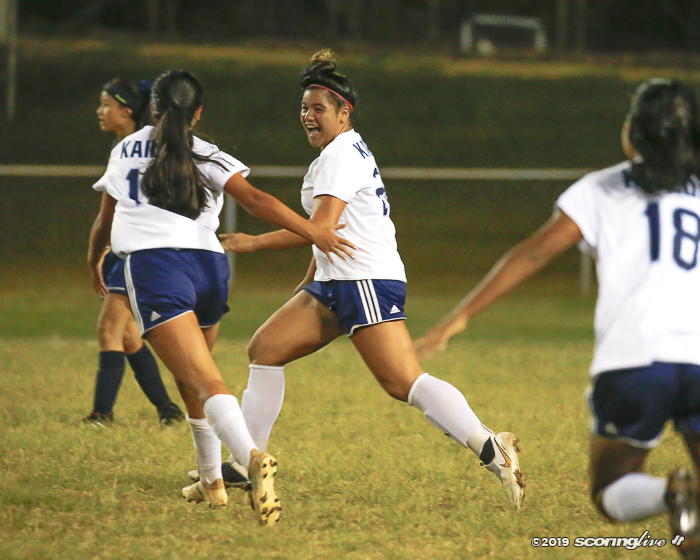 With time winding down, Kaycee Manding hit the back of the net on a penalty kick to tie the game up. 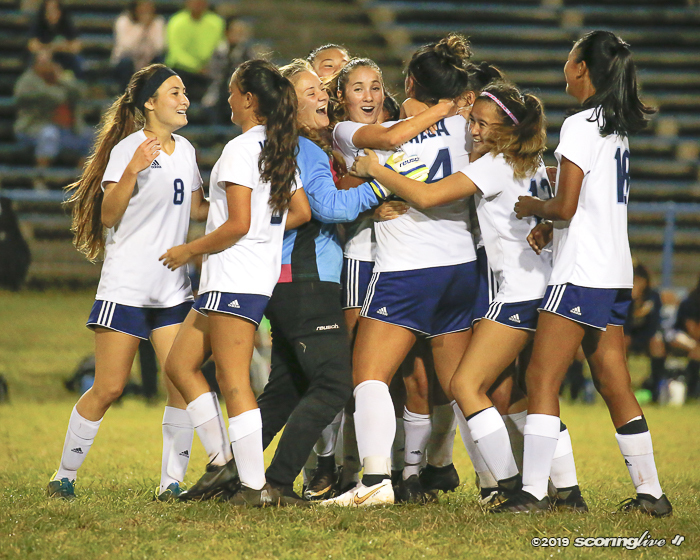 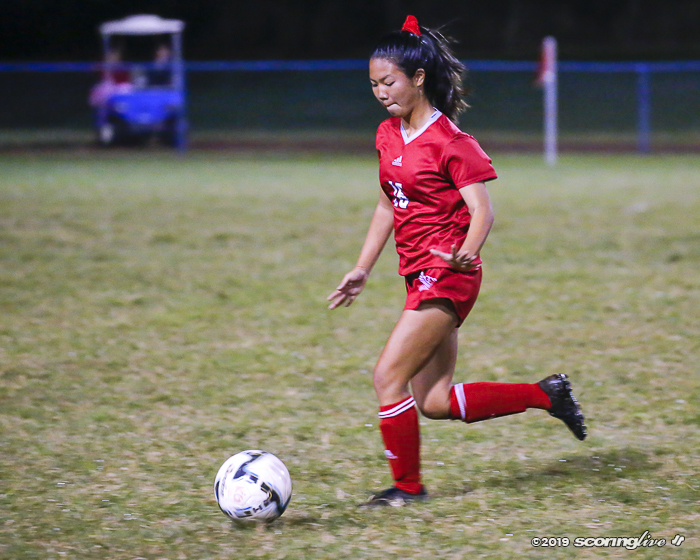 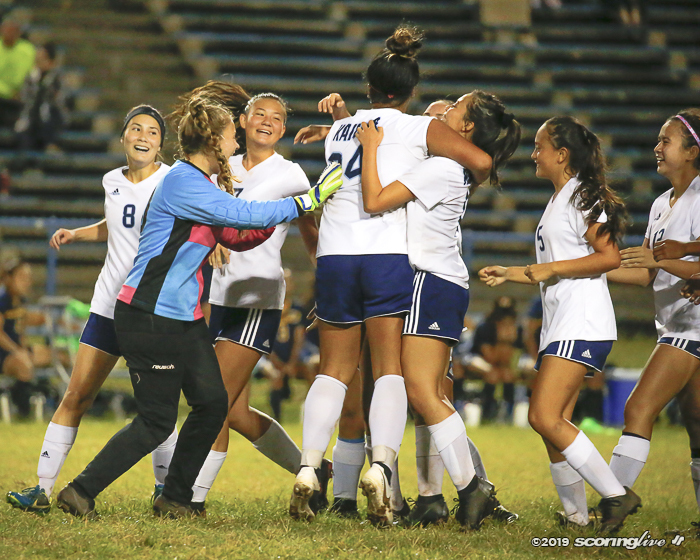 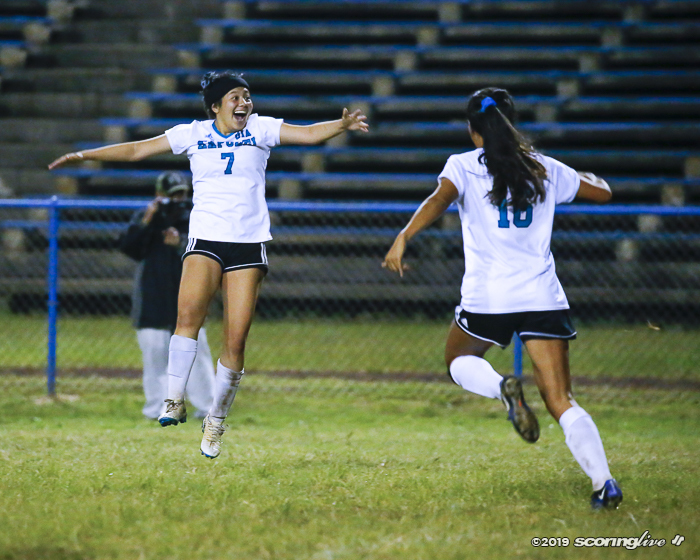 Kohatsu scored the golden goal from 30 yards out in the 89th minute to send the Surfriders to the quarterfinal round against East top seed Moanalua. 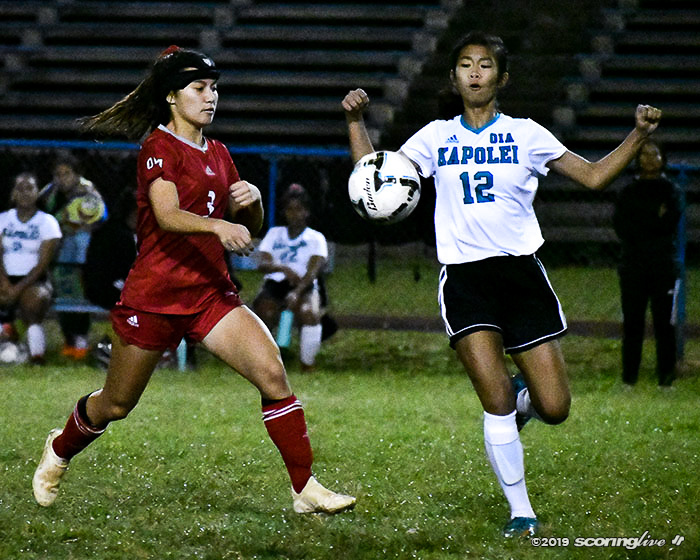 Both teams opened the regular season against each other with the result a 1-1 draw. 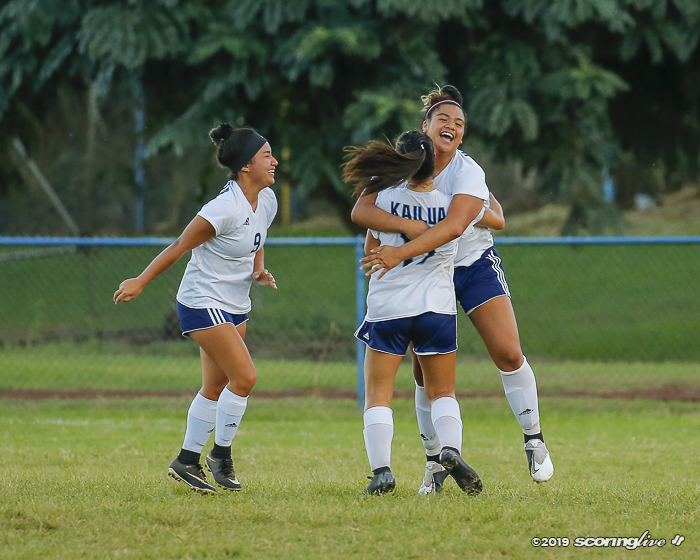 The Surfriders won last year's OIA Championship in Division II.